Developed by Monolith Productions. Published by Warner Bros. Interactive. Available on PC, PS4 (reviewed), Xbox One. Released September 30, 2014. Copy provided by publisher. I have made no secret of the fact that I love the works of Tolkien. I have read The Lord of Rings multiple times, and have delved (too deep) into the collected notes published by Christopher Tolkien after his father's death. Jackson's film adaptations mean a lot to me too but I admit my everlasting love of Tolkien has begun to wear thin. I liked the first Hobbit movie well enough, but I haven't found the time to see the most recent one. Games set in Tolkien's world such as The War in the North and LOTRO are well-crafted but failed to spark the same love I felt reading The Fellowship of the Ring as a child. 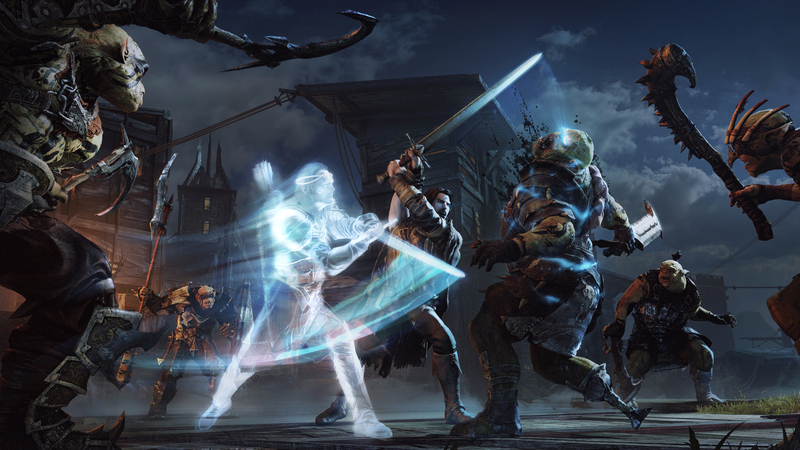 After so many staid adaptations and boring retellings, Shadow of Mordor is the first game set in Middle-earth that explores new themes and executes mechanics that allow you to interact with Tolkien-esque characters in a truly emergent way. 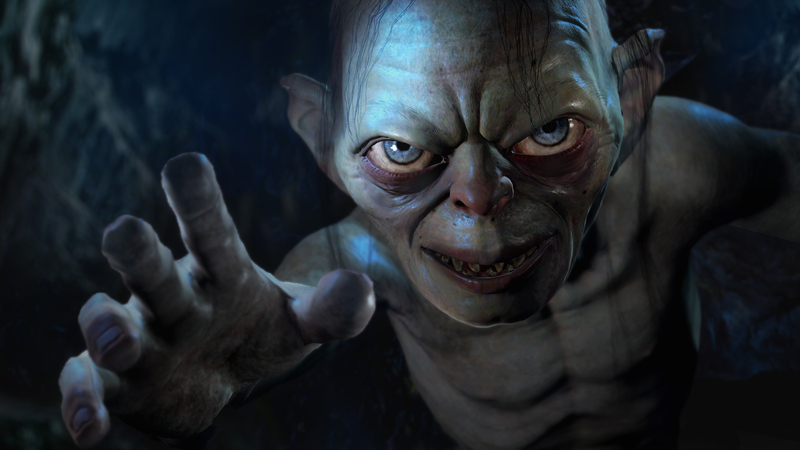 You enter the open world of Mordor practically immediately upon booting up the game. There's a short scripted sequence introducing the ranger Talion, his son and his wife living atop the Black Gate and the lieutenants of Sauron that lead the attack against the Gondorians defending it. 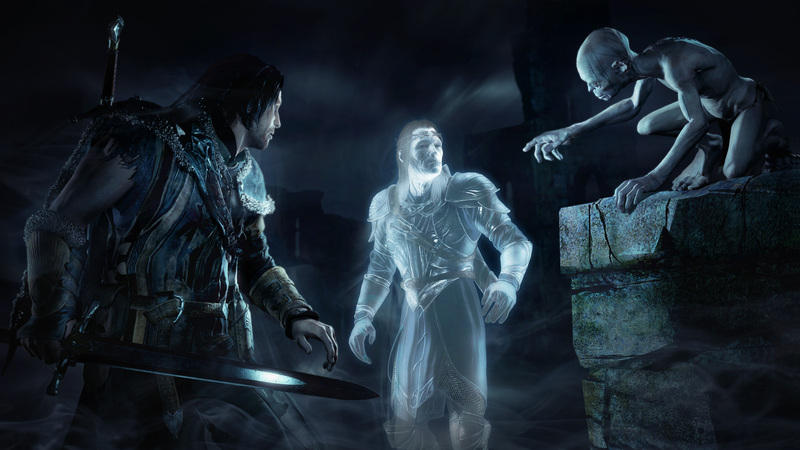 One of the bad guys, called the Black Hand, seems to have magical powers and he utters some language in the Black Speech as he slaughters Talion and his family. Somewhat mysteriously, you then awaken beneath the Gate possessed by a shining wraith who speaks to you. 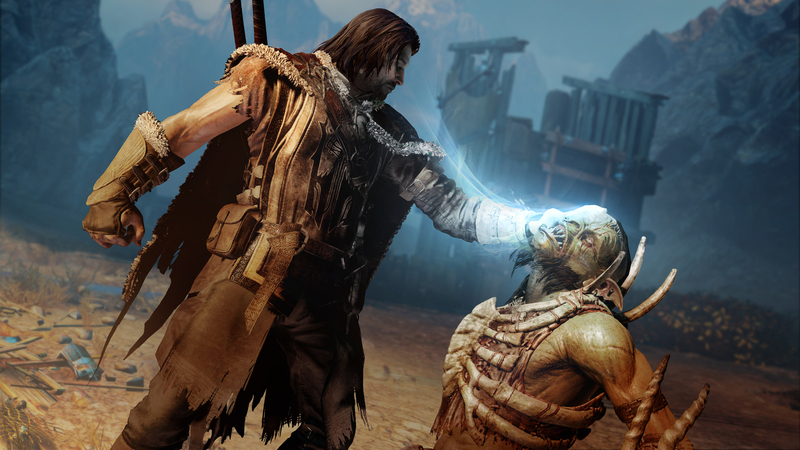 The wraith doesn't really know who he is or what's happening, but he does offer you the power you'll need to take revenge against the forces of Mordor. Like a finely-tuned film script, you are given a very strong motive after this deliberate inciting incident and then you're thrust out into the world. That short 15 minute sequence effortlessly gets you accustomed to the third-person action stealth mechanics and the setting. You are then free to do whatever you like in Mordor. Like most open world games, you have a map of the area at your disposal populated with mission locations and some random encounters. What's unique is an interface you can use to interact with Dark Lord Sauron's army. 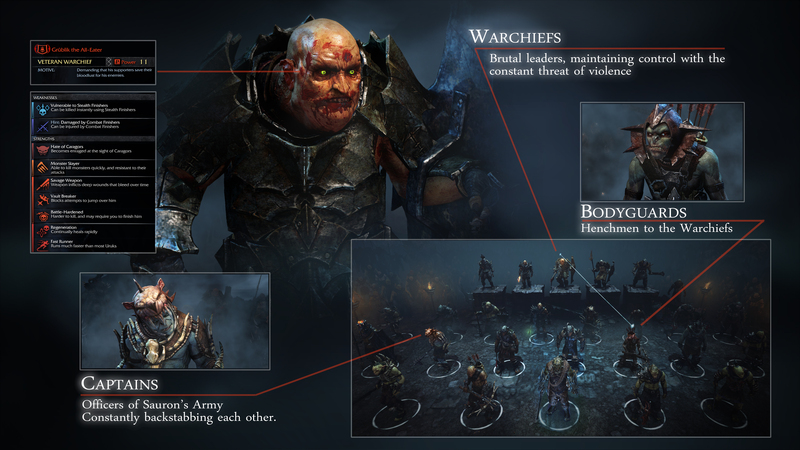 The orcs are ruled by five war chiefs, who have captains to guard them and regular troops such as infantry, archers and berserkers who follow their leaders. With the exception of a few important plot characters, all of the "officers" in Mordor are randomly named characters with evocative personalities and monikers. It really can't be understated how oddly endearing these little devils are. Lug the Drunk, for example, has a skin of orc grog on his person and delivers all his threats and challenges with a slur. Snagog the Beheader is all about wearing fashionable skulls. Kothog the Slippery is difficult to put into a hold. At first the field of captains on display is blank, and you learn about the orc captains by interrogating orcs or discovering them in the open world. Getting this "intel" on your enemies is vitally important. The war chiefs have elite captains as bodyguards, and discovering the captain's whereabouts and taking them out so they're not around to help is a good idea. Each one of these orcs has strengths to avoid and weaknesses you have to exploit. Some are immune to ranged attacks and vulnerable to backstabbing, for example, so you'll have more success sneaking up for a quick kill. Some have a fear of insects, so dropping a nest on them will send them running. Some can be killed by explosions, or have a tough armor so will take more effort to kills. There's enough randomness that it all feels organic. 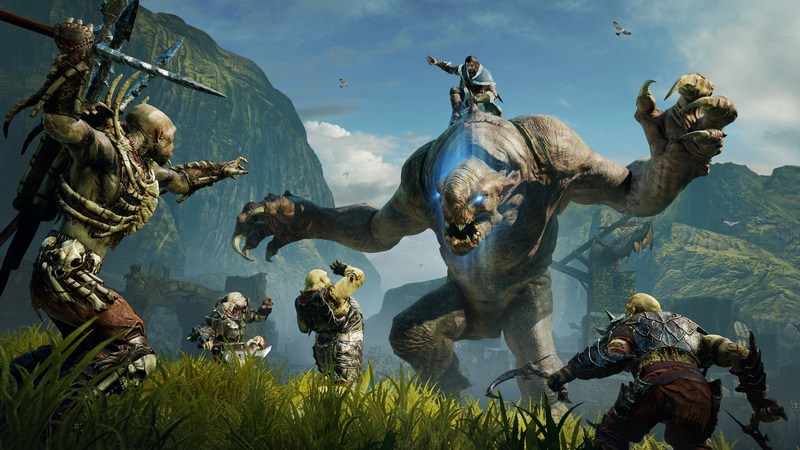 Shadow of Mordor does an excellent job of rewarding smart play without browbeating you with pop-up reminders and ham-fisted mechanics. You quickly learn ignoring the intelligence you discover means death, which brings its own sort of joy/exquisite pain. When you die at the hands of a regular orc, he will be promoted to the first rank of captain and gain in power. 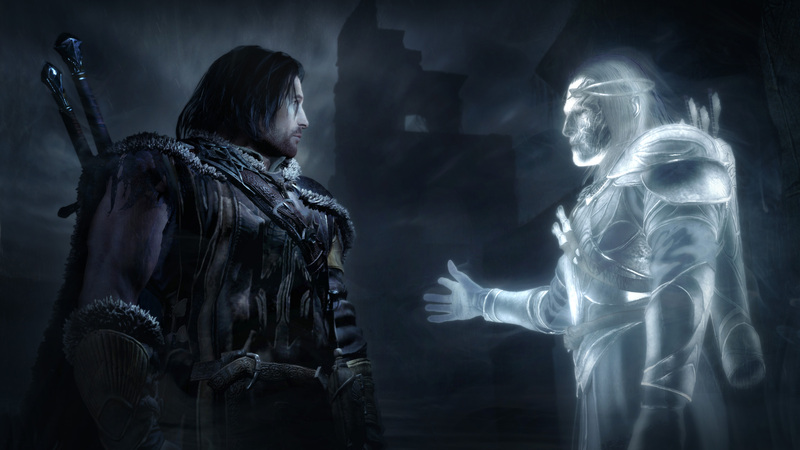 The story highlights that Talion is denied passage into death, so every time you perish in the game you will be resurrected at one of the towers that dot the landscape. While that happens, the orcs have their own power struggles and those get resolved as time passes. It's very interesting to watch the results of a duel between Lugnak and Azdush. The system deftly displays which orcs have killed you, and I spent way too much time trying to kill the bastards who got me. 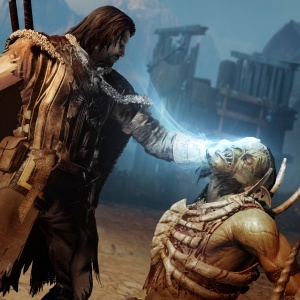 If you die multiple times at the hands of the same orc captain, it gets even harder to kill them because they start to lose weaknesses and gain strengths as they gain in power.